Since 2013, the Judicial Hellholes report has focused on the brazenly plaintiff-favoring ways of the New York City Asbestos Litigation court (NYCAL). This year’s report broadens the “Judicial Hellhole” distinction to include other types of litigation in New York City. While NYCAL continues to be of concern, New York trial lawyers have expanded their focus to areas including class action lawsuits targeting the food and beverage industry, American with Disabilities Act claims, and actions under New York’s unique “Scaffold Law.” Even Wall Street hedge funds are getting in on the litigation action, driving some of the largest cases in the state. New York has not been immune from the onslaught of frivolous food lawsuits that are plaguing other Judicial Hellholes. 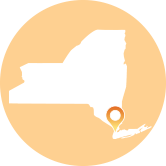 A 2017 study found that 22% of food class action lawsuits filed in federal court were located in New York, making the state second only to California (36%). Most of these food class actions are filed in two federal courts, the Southern District (Manhattan) and Eastern District (Brooklyn). The two most prevalent theories of liability are that food packaging contains empty space (known as “slack fill“) and that products, for one reason or another, are not “natural” as advertised. Plaintiffs’ lawyers are the only ones that stand to gain from these lawsuits. Companies privately settle most of these claims to avoid the expense of litigation, in which case, consumers get nothing. For example, Werther’s Originals recently settled a class action filed in the Southern District that claimed bags of its Sugar Free Caramels could fit more candy. No one will know how much the plaintiff and his law firm will get as a result of the confidential settlement. When a class settlement is reached, which is rare, consumers typically get pennies to the dollar only to see an increase in the overall cost of goods. A similar slack fill claim targeting Junior Mints brought by the same N.Y. firm, the Lee Litigation Group (which files these lawsuits by the dozen) was dismissed in August 2018. Judge Naomi Reice Buchwald ruled that allowing the suit to continue would “enshrine into the law an embarrassing level of mathematical illiteracy.” Consumers, Judge Buchwald found, are quite capable of reading the number of ounces of food and serving size printed on the box. “The law simply does not provide the level of coddling plaintiffs seek,” she concluded. Another plaintiff learned the hard way that she was not entitled to $20 million when her 8-piece bucket of KFC did not have chicken filled over the rim, as it appeared in an advertisement. With regard to “natural” food lawsuits, a few plaintiffs’ firms have likewise carved out a niche legal market and are looking for innovative new ways to line their pockets. Other notable suits in New York City include two men that filed a class-action against Chobani alleging that the yogurt was not Greek but rather Turkish, a mom who argued that products made by John Wm. Macy, a New Jersey-based cracker company, were not “all natural,” and a plaintiff claiming CVS air fresheners only “mask the bad smell.” While many of these types of ridiculous cases settle, when companies fight them (at significant expense), federal judges in New York have shown a willingness to throw them out. For example, this May, Judge Paul Engelmayer dismissed a claim against Pepsi, finding no reasonable consumer believes “diet” soda is a weight-loss product. Two federal court judges in New York opened the floodgates for lawsuits under the Americans with Disabilities Act when they ruled that corporate websites must comply with the Act’s accessibility requirements. The judges ruled that “a website is a place of public accommodation,” and even if companies do not have a physical store, they must operate websites in a manner that is compliant with the ADA. Previously, courts held that only brick-and-mortar stores had to comply. This ruling will cost New York businesses up to $37,000 to add features to allow people who are visually impaired to shop online, an insurmountable cost for many small businesses. As a result, plaintiffs’ attorneys have rushed to file cut-and-paste lawsuits against hundreds of stores whose websites are “lacking screen-reading software.” Lawyers are driving the litigation frenzy, as they stand to earn up to $25,000 in fees per case. Plaintiff ‘ lawyer Jeffrey Gottlieb filed at least 26 lawsuits in less than two months on behalf of two plaintiffs. Another plaintiffs’ attorney, Joseph Mizrahi, filed over 500 similar lawsuits in Manhattan and Brooklyn federal courts in 2018 alone. While Gottlieb and Mizrahi will earn several thousand dollars in fees, New York law prohibits their clients from receiving more than $500 per case. This growing problem has caught the attention of Congress. In June, over 100 members urged the Justice Department to clarify the applicability of the ADA to websites. A letter to then-Attorney General Jeff Sessions expressed concern with “proliferation” of lawsuits by private plaintiffs that threaten businesses with “unsubstantiated violations of the ADA.” Legislation that would have addressed some of the worst lawsuit abuses passed the U.S. House of Representatives earlier this year, however, the reform measure has permanently stalled in the Senate after 43 democratic senators pledged to filibuster the bill. To maximize their returns, some plaintiffs file multiple ADA lawsuits, taking advantage of a law meant to protect them. For example, Arik Matatov, of Queens, New York, is a “wheelchair user,” who has threatened to sue 49 different businesses for not having wheelchair ramps. Matatov sent letters demanding companies, including a bridal shop, pay him $50,000 or else he would sue them in court for $5 million. Interestingly, The New York Post caught Matatov walking around without a wheelchair on several occasions. The lawyer that helped him write the demand letters stated that he was unaware Matatov could walk because he had never met his client in person. In 2018, the New York Court of Appeals delivered a gift to the plaintiffs’ bar when, in a 4-3 opinion, it held that comparative fault applies only to damages, not to parties’ liability. Comparative fault is intended to provide juries with the ability to allocate responsibility for an injury between all those who contributed to an injury. Juries complete this task while evaluating whether a defendant is liable for what occurred. Each defendant is then responsible for paying damages in proportion to its level of fault. In Rodriguez v. City of New York, New York’s highest court took a different approach. A majority of the court ruled that a judge may rule that a defendant is liable for a plaintiff ‘s injury as a matter of law. The judge may then instruct the jury that the defendant has already been found at fault, leaving the jury only to evaluate how much the plaintiff ‘s actions contributed to his or her own injury. The dissenting judges recognized that this system has a defendant “entering the batter’s box with two strikes already called.” The “fairer outcome,” they recognized, is to allow the jury to consider both liability and damages. The ruling gives plaintiffs significant leverage to pressure defendants to settle, even when the plaintiff’s actions significantly contributed to his or her own injury. New York lawyers who represent defendants in civil litigation observe that New York’s new approach, in which courts will find defendants liable before juries consider damages, is likely to increase litigation costs and lead to higher settlement values. The retrial of former New York State Assembly Speaker Sheldon Silver in federal district court in Manhattan, based on allegations that he collected improper payments from Weitz & Luxenburg, a prominent asbestos law firm, ended with a conviction in May. Silver was originally convicted in 2015 of illegally accepting millions of dollars in “kickbacks” from the law firm for referring clients with mesothelioma to a doctor whom he gave $500,000 in state grants. The information that came out during trial showed the litany of problems and fraudulent activity permeating through New York City’s asbestos litigation. Prosecutors alleged that Silver received illicit payments from Weitz & Luxenburg in exchange for taking steps in his official capacity to benefit Colombia University cancer research and two New York real estate developers. Mr. Silver was convicted on seven counts and was sentenced to seven years in prison. His legal team filed a notice of appeal in the U.S. Court of Appeals for the Second Circuit in mid-August. New York judges presiding over asbestos litigation have allowed plaintiffs’ lawyers to act outside the bounds of the law and manipulate the legal system for their own gain. After a massive asbestos settlement earlier this year, even Manhattan residents are starting to call for tort reform. In April, a jury awarded $60 million to the family of Pietro Macaluso, a construction worker who performed renovations on single-family homes in Brooklyn during the 1970’s and 1980’s. Prior to his death in 2017, Macaluso sued three companies that manufactured boilers he alleged were “laden with cancer-causing asbestos” and caused him to develop pleural mesothelioma. During trial, Justice Manuel Mendez allowed the plaintiff ‘s lawyer to show the jury a video of him lying on his deathbed in the hospital. The jury also was allowed to watch Plaintiff “say goodbye to his kids … knowing that they would grow up without a father.” These videos and statements enflamed the jury and impacted their ability to fairly evaluate whether the boiler companies were responsible for Mr. Macaluso’s death. The high payout—eight times the national average for mesothelioma cases—demonstrates not only the prejudice resulting from the video, but also the plaintiff-friendly nature of NYCAL. New York City is notorious for paying out “more than any other major city to settle legal claims.” This number— $84 per New York City resident— exceeds what city taxpayers spend on both Parks and Buildings departments, according to a survey by Governing magazine. To no one’s surprise, the New York City jury, after about two hours of deliberation following a three-week trial, awarded $40.1 million to plaintiff, J. Walter Twidwell. Twidwell, a veteran with mesothelioma, alleged Goodyear Tires was to blame for his exposure to asbestos while working on gaskets and boilers in the U.S. Navy. Justice Lucy Billings denied a request for a mistrial based on Blouin’s unprofessional behavior, but “warned Blouin to be more careful about his conduct,” stating that she was “equally frustrated.” The court gave Blouin several “warnings” during the trial, but took no other action. As a result, Goodyear Tire was deprived of an opportunity to receive a fair and impartial trial. For many years, New York courts recognized that awarding punitive damages in asbestos cases, bankrupting companies today for conduct that occurred decades ago, serves no purpose. It does not help future victims who will need money for medical expenses to push companies into bankruptcy. It does not punish those responsible when the asbestos exposure occurred. The only purpose served by punitive damages in asbestos cases is to give windfalls to lawyers. In April 2014, however, Justice Sherry Klein Heitler lifted a long-standing ban on punitive damages in asbestos litigation and an appellate court upheld her authority to do so. But the appellate court left to her successor, Justice Peter Moulton, to determine whether punitive damages should be allowed. The new Case Management Order (CMO) allowed punitive damages and, naively or otherwise, trusted plaintiffs’ lawyers to pursue punitive damages only on a “good faith basis.” It also retained plaintiff-friendly procedures from prior CMOs. A New York appellate court issued a disappointing ruling when it refused to modify this burdensome CMO. The First Judicial Department’s short opinion discussed several different provisions of the CMO and how they “differ from” the New York’s Civil Practice Laws and Rules. Yet, the court ruled that the new CMO did not deprive defendants of due process and that while the procedures did not “strictly conform” to New York law, the judge overseeing NYCAL could impose them without the defendants’ consent. Justice Lucy Billings, who was appointed as NYCAL’s coordinating judge in August of 2017, was reassigned after only six months on the job. She was replaced in April by Justice Manuel Mendez, but will continue as a judge for complex litigation. Critics say Justice Billings was unable to effectively address the asbestos backlog that plagues the NYCAL system. At the start of 2018, there were an estimated 500 active asbestos cases and 1,000 dormant cases. It remains to be seen whether this change will improve the status of the court. New York City is known for its impressive skyline. The city also is known for eye-popping real estate prices and an overall high cost of doing business. According to Crain’s, the state’s Scaffold Law significantly contributes to these astronomical costs. New York’s Scaffold Law was enacted to “protect workers who helped build New York’s now-iconic skyline in the 19th century.” It holds contractors and property owners liable for workers’ “gravity-related injuries,” whether that injury occurred due to a fall from a stepstool or New York’s tallest tower. New York courts have found that liability under this law is “absolute,” meaning that businesses must pay up regardless of whether the fall occurred due to the workers’ carelessness or reckless conduct. No other state has such a law. Litigation and insurance costs stemming from Scaffold Law cost $785 million in public funds each year. The New York School Boards Association has estimated that the law costs upstate school districts $200 million each year, while the New York City School Construction Authority puts the cost on NYC schools at $215 million annually. New York lawmakers have long sought to address this excessive liability. For example, legislation proposed by Assemblyman John McDonald (D) would allow juries to allocate fault among those responsible for an injury in Scaffold Law lawsuits, just like other personal injury actions. Frustrated with the lack of action in the New York legislature, a bill introduced in the U.S. House of Representatives would set a comparative fault standard when an injury occurs on a construction project that is funding with federal taxpayer dollars. Although former Assembly Speaker Sheldon Silver may no longer be a problem for New York asbestos litigation, the legislature continues to ignore the systemic issues plaguing the asbestos docket and it has refused to act to prevent future Sheldon Silvers from arriving on the scene. Silver’s previous firm, Weitz & Luxenburg, still dominates New York’s asbestos litigation. In 2017, the firm handled 47% of claims in the NYCAL Accelerated Docket according to asbestoscasetracker. This year, Weitz & Luxenburg has handled over 52% of these claims. Asbestos trust transparency legislation once again stalled in committee three weeks after Silver was convicted on charges stemming directly from the scandal-prone asbestos court system. The bill would have required plaintiffs’ lawyers to disclose all claims they have filed seeking compensation from trust funds established by companies that have gone bankrupt due to asbestos litigation. This is necessary because plaintiffs’ lawyers often claim that their clients were exposed to asbestos due to the bankrupt companies’ products in order to qualify for money from the trust system, but then claim solvent companies are responsible in NYCAL litigation. The multi-year legislative effort has growing bipartisan support, increasing the chances that a bill may pass in the near future. New York hedge funds are becoming increasingly involved in mass tort litigation against companies that make prescription medications and medical devices. Investment firms are lending money to law firms that represent plaintiffs in product liability lawsuits. In return, they become entitled to a portion of any recovery. By taking advantage of the “current banking regulatory environment,” hedge funds are creating an unfair playing field for defendants in tort litigation. Investors are turning the “civil justice system into a profit center,” said Tom Stebbins, executive director of the Lawsuit Reform Alliance of New York. Some hedge funds even provide law firms with loans to buy large scale mass-tort cases from rival firms, increasing their case load. The New York City Bar Association published a formal opinion in July 2018, concluding that lawyers may not enter into a litigation financing arrangement with a non-lawyer funder under which the funder is paid out of any recovery. Such arrangements, the NYCBA found, violate ethical rules that have long prohibited lawyers from partnering with or sharing fees with non-lawyers. These rules are intended “to protect the lawyer’s professional independence of judgment.” Separately, the New York State Bar Association indicated this year that a lawyer may not represent a client in litigation funded by a litigation finance company in which the lawyer is an investor. These opinions demonstrate the troubling conflicts of interest that arise in these types of arrangements. Another form of lawsuit lending involves companies that offer “cash advances” to plaintiffs involved in personal injury litigation. These loans can carry an average annual interest rate that, according to reports, can reach as high as 124%. Critics compare this lawsuit lending industry to “mob loan-sharking,” which often leaves borrowers “with little or no money” after they receive their settlements because they must pay rates that can exceed one hundred percent. The New York legislature and the state’s attorney general must take action in order to address the rampant abuse. Legislation introduced to rein in predatory lawsuit lending in 2018 passed the Senate 59-1, but has stalled in the Assembly. In the United States’ largest media market, New York City, more than 22,000 legal services ads aired—at a cost of nearly $6.4 million during April through June of 2018. Plaintiffs’ lawyers spent more money on television advertising in New York City during this period than in any other area. Between April and June, trial lawyers spent more than $70,000 each day on ads calling for plaintiffs to join class action lawsuits and more. New Yorkers saw 20 times as many ads for legal services as they did ads for pizza delivery and restaurants. Over-the-top advertisements from personal injury attorneys with catchy jingles and toll-free numbers suggesting that medications and medical devices are dangerous post their own threat to public health. These ads undermine the simple notion that doctors, not personal injury lawyers or the “aggregators” who generate and sell potential claims, should dispense medical advice. The reason trial lawyers pump significant money into these ad buys is because, armed with more clients, they can pressure settlements and boost payouts when they go after product makers. This leads to larger contingency fees for themselves. The ads do more than help recruit clients, however. They also influence citizens who might wind up serving on a jury. A survey conducted by Trial Partners, Inc. found that 90% of jurors would be concerned if they saw an advertisement claiming that a company’s product injured people. Additionally, 72% of jurors agreed that if there are lawsuits against a company claiming its products have injured people then there is probably truth to the claim—showing just how big of an impact these ads can have. It is essential that the legislature and attorney general take action to ensure the public is not being improperly influenced by the false advertisements and to protect the public health interests. DID PLAINTIFFS’ LAWYERS PRESSURE WOMEN INTO UNNECESSARY SURGERIES? Prosecutors in the United States Attorney’s Office for the Eastern District of New York have started a formal investigation into whether doctors, lawyers, financiers, and consultants have lured women into unnecessarily having pelvic mesh implants removed. The inquiry began after a New York Times exposé on the growing number of women who have been coaxed into having surgery. According to the New York Times, women have been called at home and convinced that the implant supporting their bladder is defective and must be removed. Almost immediately, the women are flown to Florida and undergo surgery at walk-in medical centers. Litigation finance firms, such as Brooklyn- based LawCash, pay for their medical expenses, put them up in motels, and set them up with a lawyer – many are represented by a Minnesota law firm, McSweeney Langevin – in exchange for a portion of settlements the women might receive from the device makers when they sue. Lawyers are turning into “marketing firms to drum up clients,” in order to try and win large settlements. In May, New York Attorney General Eric Schneiderman, a vocal opponent of civil justice reform, resigned after multiple women reported allegations of violent assault. Schneiderman filed for retirement in early June and will collect an annual pension of $63,948, regardless of whether he is prosecuted and convicted of the charges against him. The Legislature chose Solicitor General Barbara Underwood to complete Schneiderman’s term. Following in the footsteps of her predecessors, Eric Schneiderman and Eliot Spitzer, Attorney General Underwood has continued politicizing New York’s unique-Martin Act, a 1921 law which grants the Office of the Attorney General far-reaching powers to investigate alleged financial fraud—without ever having to prove intent. To build on a fishing expedition began under Schneiderman, Underwood in October used the law to sue Exxon Mobil over alleged discrepancies in disclosures to investors about the impact of climate change regulations on its business. The U.S. District Court for the Southern District of New York dismissed a New York City lawsuit against ExxonMobil, BP and several other “oil giants” attempting to pin them with costs related to climate change. In his July ruling, Judge John Keenan found that “climate change must be addressed by the executive branch and Congress, not by the courts.” The 23-page decision follows the June dismissal of a similar lawsuit brought by San Francisco and Oakland. Judges in these cases recognized that climate change is an issue that needs to be addressed policymakers, not regulated through litigation.